Hi friends! I had the pleasure of guest posting at Polish & Pipsqueaks a couple weeks ago. 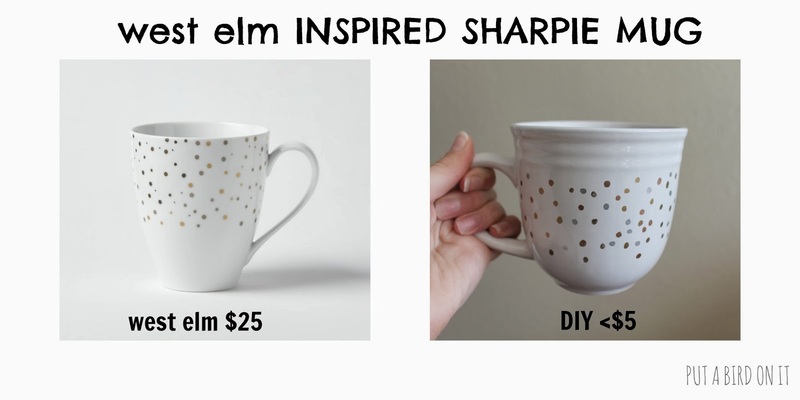 I shared my West Elm Inspired Sharpie Mugs! Everyone has been so sweet with their responses. In case you missed my guest post, I'm sharing the tutorial here on my blog, so you can get in on the knock off action. I hope you find some DIY inspiration here! 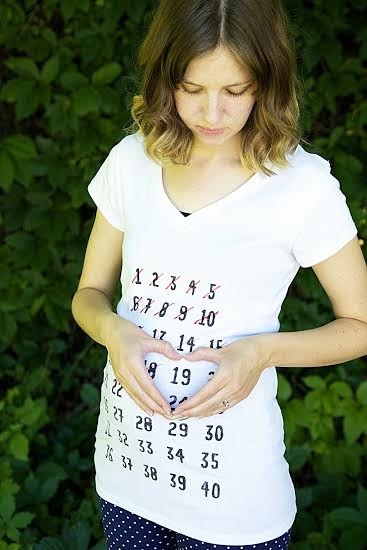 Today, I am sharing with you my favorite project to date. West Elm Inspired Sharpie Mugs! 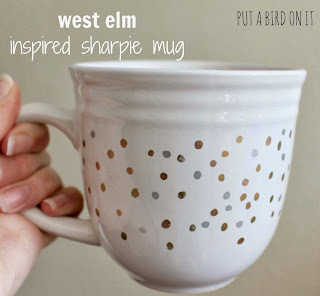 I've been eyeing these West Elm polka dot mugs forever. I'm a sucker for anything with polka dots! But they are pricey -- especially if you want more than one. I have a super inexpensive and easy DIY project that gets you the polka dot mug of your dreams and lets you keep that cash in your piggy bank. 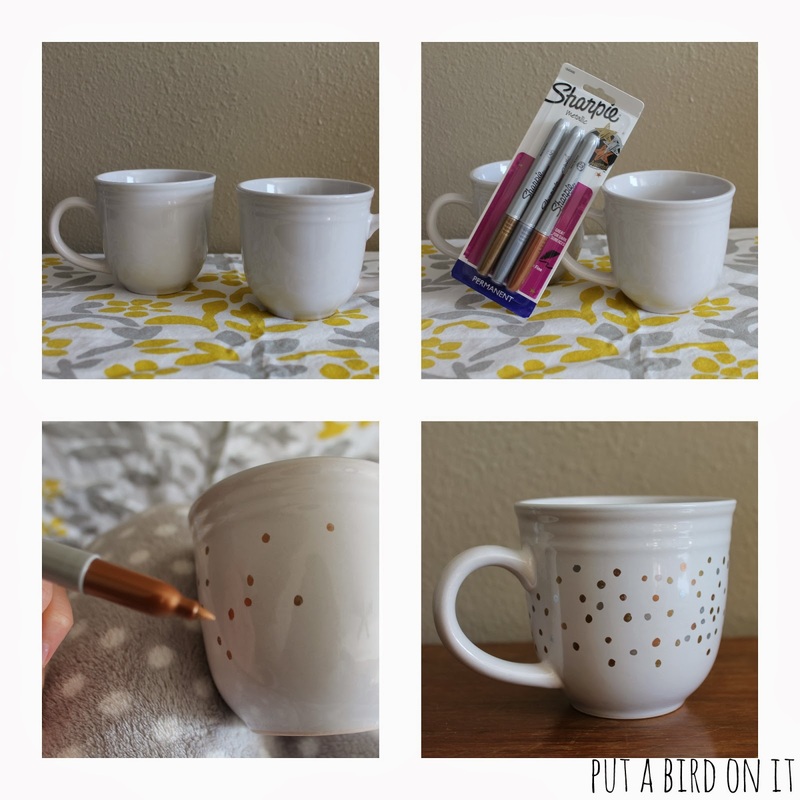 Here at Put A Bird On It, I am all about using stuff you already have at home -- or can get on the cheap -- and turning into a Pinterest worthy item. And sharpie mugs are exactly that! Clean your mug. I just wash it with soap and water, but I've heard rubbing alcohol works well, too. Time for the fun! Draw your design on your mug. 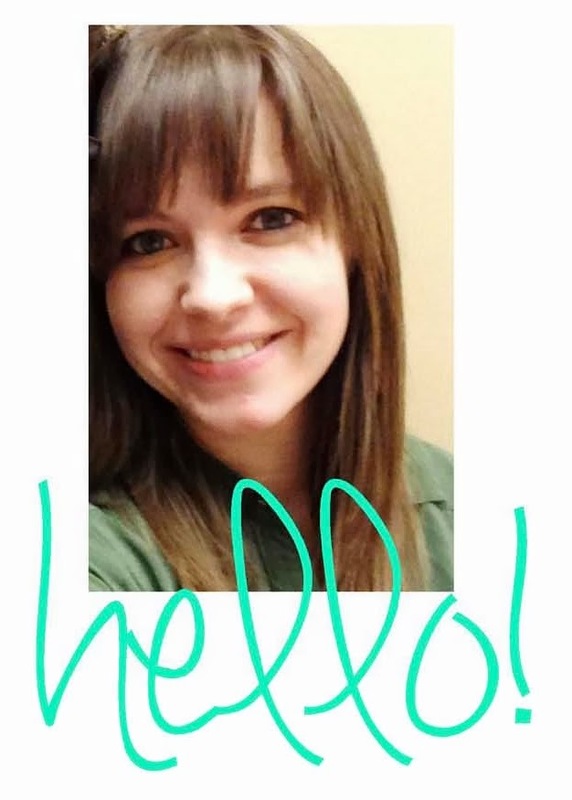 Write a phrase, draw a picture, put your name, draw one of the Hemsworth brothers -- whatever you want! I sketched my words out on a piece of paper first, so I had a battle plan in place before drawing on my mug. The last step is baking your mug. You'll bake it at 350degrees for 30 minutes. Place the mug in the oven during preheat. After the 30 minutes, turn the oven off and let your mug cool completely in the oven. This will help prevent cracking. You're done! This mug was so easy -- I made a second one with my "phrase" for 2014. CHOOSE HAPPY. 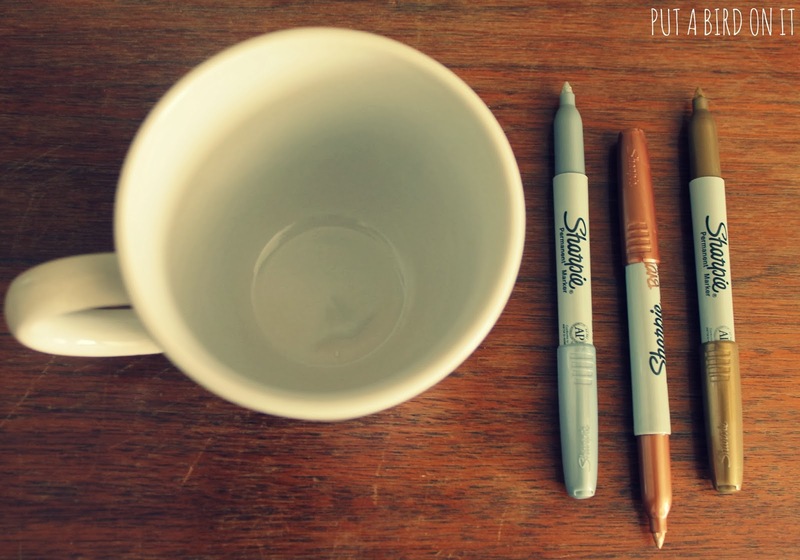 If you make your own Sharpie Mug, link it up here. I'd love to see what designs YOU come up with! Enter the fab giveaways I'm currently hosting! Check out Pick Your Plum for today's daily deal! Cute and personal, love it! Those would make a wonderful gift for any one. Thanks for sharing. I just stopped by from The Cottage Market. Daniela, this is so cool! I love finding ways to save on things but to get the same type of item doing it yourself. It's one of these shows on HGTV that does room makeovers that does just that and I love it! This is amazing! I pinned it. Thanks for sharing this one too with us at Countdown in Style! Thanks, Brittnei! I'll have to check out that show sometime. I love me some HGTV! take care. Thats such a cute cup. Yeah 25 for a coffee mug...no matter how cute is just not happening. I would love if you would share this on our Wednesday link party. These are great! 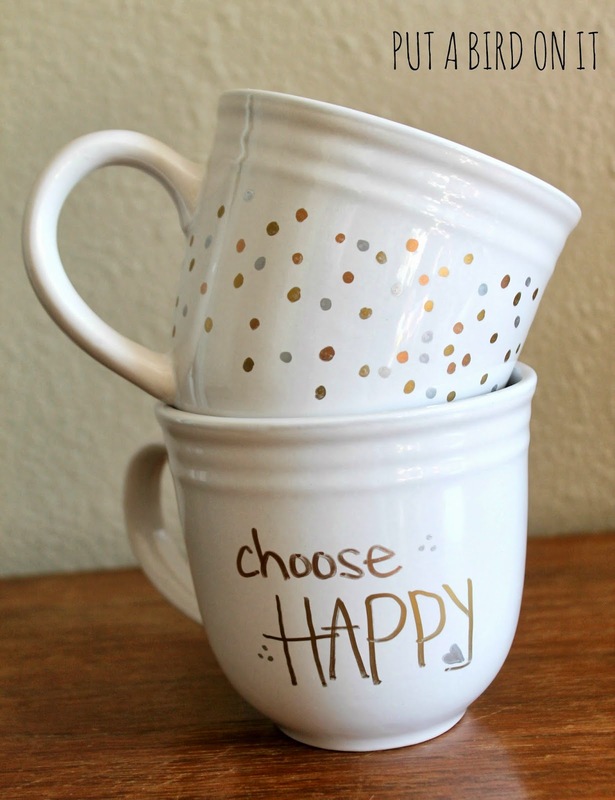 And a perfect way to personalize my plain white mugs! Thanks for sharing and linking up with Countdown in Style! Don't forget to come back on Friday to see if you were featured! These are great! I've been wanting to do one of these...think I will go to Dollar Store this morning! These are so adorable, and so much cheaper than buying store-bought, love it! Just stopping by to pin this, and let you know I featured it on my blog today; thanks for sharing at Creativity Unleashed! Love them! There is no school for my kiddos on Monday; I'm thinking we'll go pick out mugs & make these! This is so cute...and looks really easy. Thanks for sharing on Thursday Blog Hop! Thanks did the invite! Take care. I just did one for my sister for her birthday. I di d dots around her initial and when I removed the initial it was white with color all around it. . It turned out so cute! Love this idea thank you for sharing. LOL to "draw one of the Hemsworth brothers" :-D This is so super easy looking, and I a great gift idea! How cute, I love this! I got some of the oil based to make a mug for my little man for his b-day! 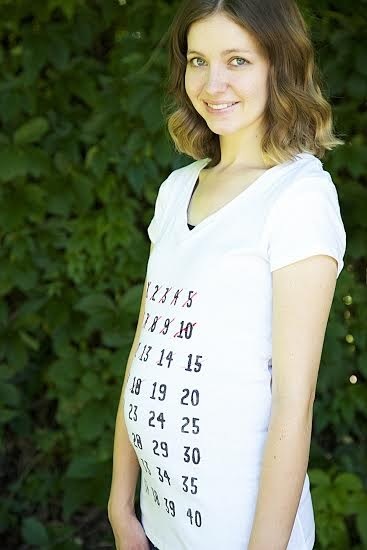 I've seen these on Pinterest and I really want to make one. They would make great gifts! I made Sharpie mugs for Valentine's Day for my kids who loved them! 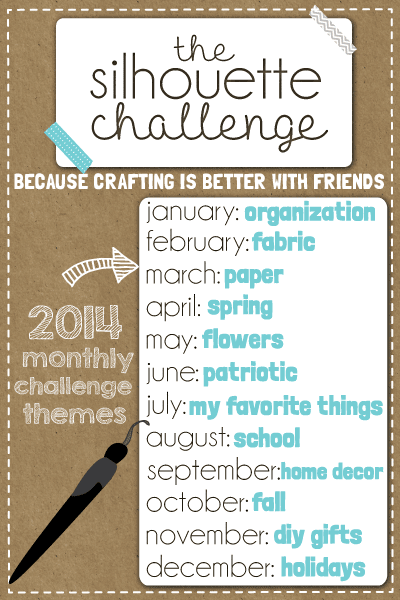 Just wanted to let you know, I am totally using this as my craft for our monthly family craft day! Thanks so much for sharing this! This is a great idea. I am always looking for things that I can make/create to give as gifts. I am pinning this one too.